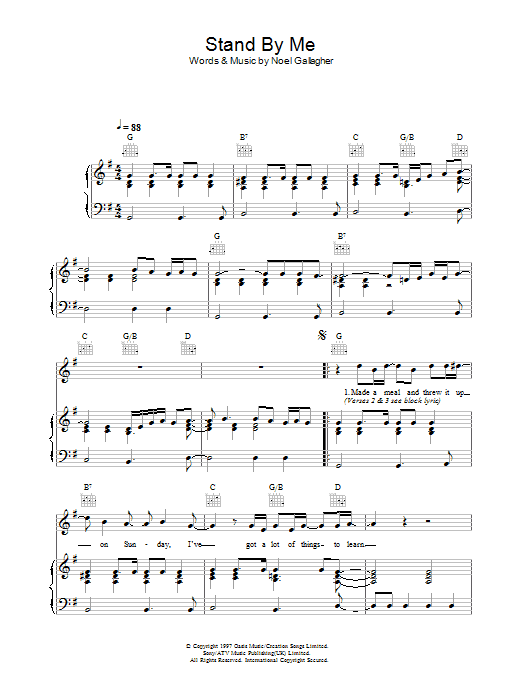 "Stand By Me - Ben E. King - Acoustic Guitar Lesson (Easy) (detune by 1 fret)" "Leaving On A Jet Plane - John Denver - Acoustic Guitar Lesson (easy)" "An acoustic guitar lesson of my interpretation of the classic John Denver song - Leaving On A Jet Plane. I assume you're asking about "Stand by Me", by Lieber & Stoller with Ben E. King. 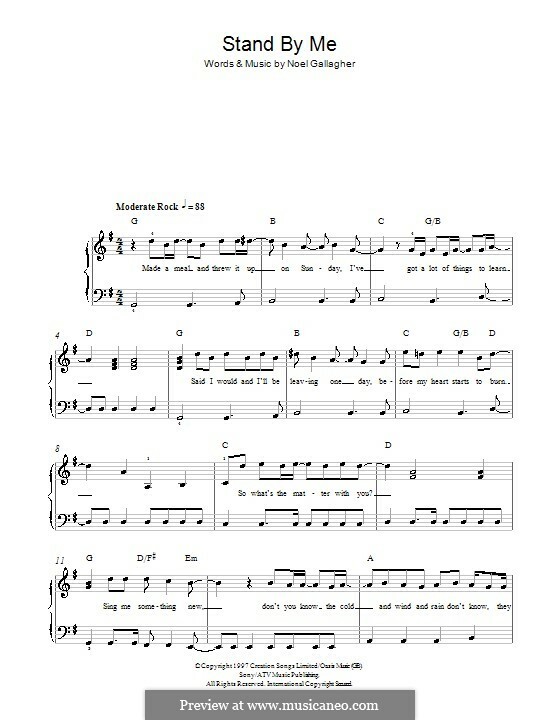 If you want to play the melody, I'd suggest purchasing the sheet music. (And possibly, some piano lessons, or a course in sight-reading, etc. ).